The Nova Scotia Duck Tolling Retriever is one of the hunting dogs and he is the smallest of the retrievers. He is an intelligent, hard-working and playful dog with a high “Will to Please”, the willingness to work and cooperate with his dog handler. However, he also needs enough appropriate work to deal with his owner, which makes him both physically and mentally well utilized. 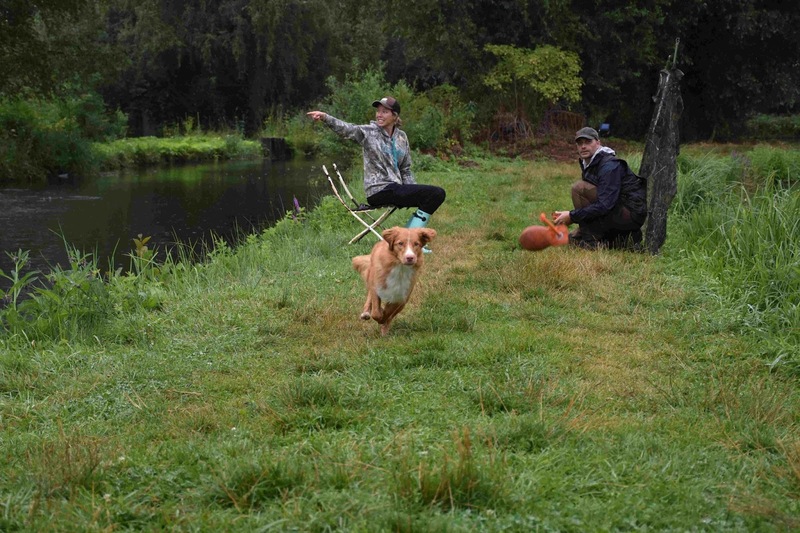 This is possible by doing hunting or a variety of sporting activities such as dummy work, Obedience, agility, track work, tolling, etc., etc., or even in rescue dog work. Translated, the name means “duck attracting retriever from Nova Scotia” and that’s exactly what was originally bred for. Through his playful movements on the shore he attracts ducks, which can then be hunted and then he retrieves the ducks from the water. Legend has it that Indians watched foxes as one attracted the ducks on the shore and a second fox came to hunt. Breeders in Nova Scotia started to breed similar dogs. Other theories for the origin are that the Toller comes from the Dutch Kooikerhund or French Spaniel. 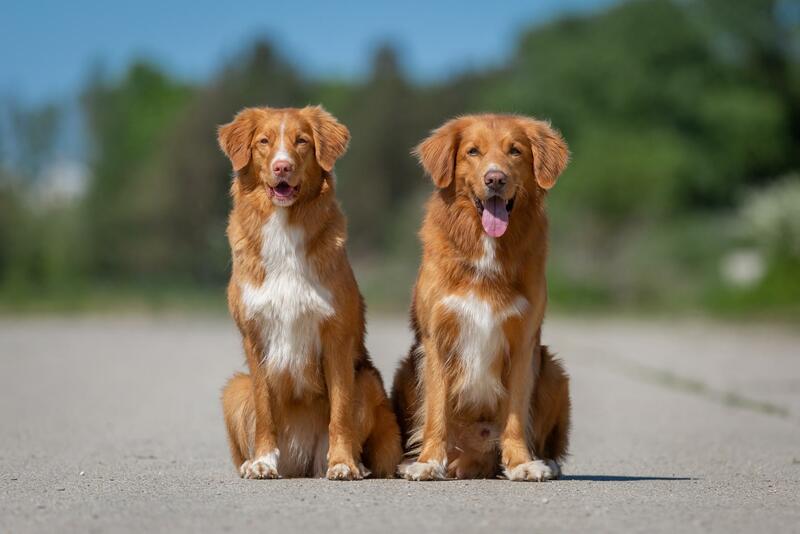 There have been reports of such dogs since 1700, but as its own official breed they were recognized in 1945 by the Canadian Kennel Club and in 1981 by the Fédération Cynologique Internationale (FCI). The FCI-Standard No. 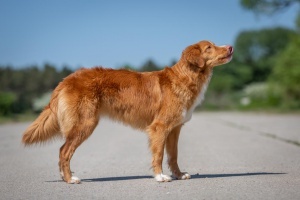 312 describes the Toller in detail. 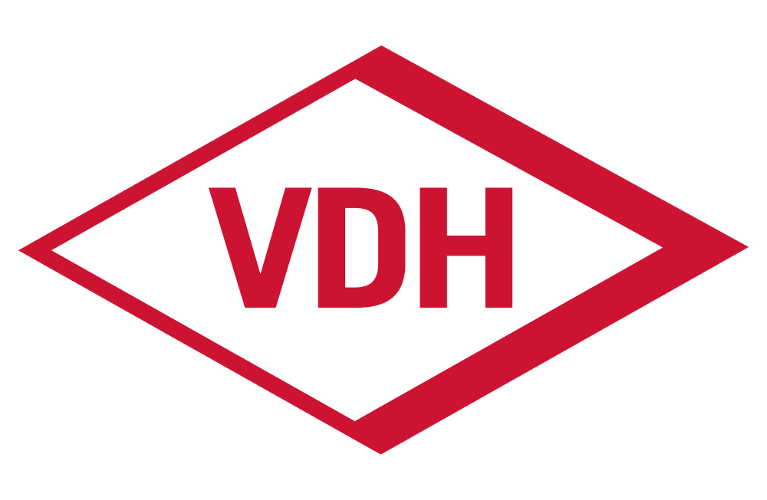 Please compare http://www.fci.be/de/nomenclature/NOVA-SCOTIA-RETRIEVER-312.html .